Dark years are often followed by intense personal growth. Sadder but wiser, you will find a way to reduce your suffering. At first in short bursts. Then for longer and longer periods of time. The grief-work you do will help you reengage with life after loss. Many of us will even live our lives more deliberately than before. Never forgetting our loved one, and with a deeper sense of our own life’s purpose. But have you ever wondered what you can do to help yourself go beyond coping with grief and actually change your life for good? Please read on if you are ready to learn how to treat yourself with compassion and engage with a caring community of people who are navigating life after loss. It can be hard to imagine how to go on now that the worst has happened. Grief is rooted in love, and if you love deeply, you grieve deeply. We know that there is not one way to work through grief. There are many things you can do to help yourself. Grief counseling. Grief support groups. Reading inspirational grief books. Self-care, self-care, self-care. Of course sometimes it is hard to be your own guide, as grief zaps our energy. Caring social support is particularly helpful after a major loss. You may have a strong family and friendship network that embraces you. Or you may not. But a supportive bereavement group can be a place to find your tribe when you are ready. It is a way to connect with a caring community without leaving the comfort of your home, and a different but effective way to cope with grief. I came to Heather’s programme when I was floundering after the death of my partner. I bought many, many different books on grief and loss but this particular book has become my trusted companion. The programme has been my life jacket in a very stormy sea of grief. I am the person who ultimately has to swim and get back to land but having this programme has given me hope that I will get there, in my own time and with the help of Heather and my companions in the online sessions. My alumni group has become a precious focal point, being with people from 3 continents in a virtual environment of trust and respect is so very powerful. I can only speak for myself, but I am starting to live with my grief and be able to think about a future again. With gratitude and love to Heather and my group. The Mindfulness & Grief Meditation Group is open to anyone—regardless of meditation experience. You do not need any previous meditation or writing experience to benefit. In fact, this program will use your grief experience as a way to help you establish life-long, healthy lifestyle habits - the hallmark of meditation. This program is open to you if you are grieving the death of an important person in your life. This program is right for you if you are motivated and ready to commit to a meditation practice. Most participants will be at least 6 months into their grief experience. This is not a requirement if you feel you are ready to participate. If you are under the care of a medical or mental health professional, please review this program with them prior to enrolling. If you have intrusive images, hallucinations, or may dissociate, meditation may not be a skillful choice. Schedule a Clarity Call with Heather to discuss your specific circumstances if you have questions. The monthly subscription to this program is just $25/month, and may be cancelled at any time. A limited number of scholarships are available for people facing financial hardship. Please contact Heather for more details. You may have tried grief counseling or grief support groups to cope with loss. Both can be very helpful. But if you are looking for something to do that will soothe your soul between the appointments and meetings, and that goes beyond just talking—try meditation. Meditation empowers you to take care of yourself. And it can help with all facets of grief. Physical. Emotional. Psychological. Spiritual. It even helps with your relationship to others. People have been seeking relief from suffering through meditation for thousands of years. Over the past decade, I have shared these ancient and evidence-based techniques with grieving people like you, and have witnessed transformation and equanimity countless times. There are many types of meditation practice can be helpful when you are grieving, but learning how and when to apply each one is the key. These are the foundations of the Mindfulness & Grief Online Meditation Group. Your facilitator for the Meditation for Grief Course & Community Forum is Heather Stang, author of Mindfulness & Grief, and a contributor to Techniques of Grief Therapy: Assessment & Intervention, edited by the esteemed grief therapist Dr. Bob Neimeyer. 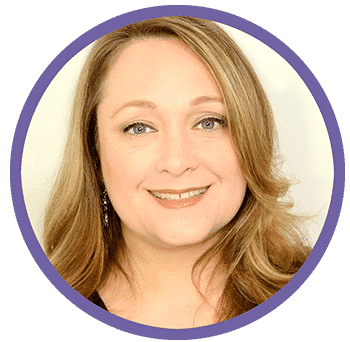 Heather holds a Master's Degree in Thanatology, which is the study of Death, Dying, and Bereavement, from Hood College. She is an IAYT Certified Yoga Therapist, and holds three certificates from the Phoenix Rising Yoga School of Yoga Therapy, in yoga therapy, therapeutic yoga teacher training, and group facilitation. She is also registered through Yoga Alliance as a Registered Yoga Teacher-200 hours. Heather is on the Board of Advisors for T*A*P*S (Tragedy Assistance Program for Survivors of Military Loss), and contributes to T*A*P*S Magazine. She is the founder of the Frederick Meditation Center in Maryland, where she has a private practice and leads the Meditation for Grief Course in person, as well as other workshops. The first segment of the program will teach you how to care for your grieving mind and body through focus, relaxation, and self-compassion. You will return to these self-care tools again and again throughout the program. You will experience your body as a powerful messenger and ally. Far from being a problem, discomfort in the body is a sign that something is out of balance. The key is learning how to respond to your body’s signals in a skillful and caring way so balance is restored. This program is all about you. It is rooted in contemporary grief research, the principles of mindfulness, yoga therapy, and human-centered therapy developed by Carl Rogers. These modalities nurture your inner wisdom and honor your individual experience. If you are ready to embark on a journey that will help you cope with loss, and are ready to commit to a regular meditation practice, this program is for you. Let me begin with what the program is NOT. A lecture series that you can simply absorb, and transformation will happen. A competitive, achievement-oriented program with grades and evaluations. An academic course with a lot of reading and homework. A you-centered program designed to help you explore all of the coping skills and personal growth opportunities that meditation for grief has to offer. Experience-based learning where you are the authority of your own thoughts, feelings and behaviors. Being part of a caring and like-minded community of other bereaved people. A space where you can feel safe and comfortable talking about your special person and your grief experience. A chance to learn how to live with intention, listen to your inner wisdom, and create a life that will nurture your spirit. A system that will provide the structure you need to make meditation a part of your lifestyle. When are live online events held? Monthly Workshops are held on the first Tuesday of each month from 7:00 - 8:00 PM EST. Sharing circles are scheduled for the third Tuesday of each month from 7:00 - 8:00 PM EST. You may call in using your cell phone for easy access, or use a video camera and join online. Class dates are subject to change but will be announced in advance. What happens if I can’t make one or more of the Monthly Master Classes? Don’t worry – these sessions will be recorded, and the replay will be made available to everyone in the group for a period of one month. While you won’t get to participate in the Live Q&A session if you don't log in, you can always post your questions in the Private Facebook Group and Heather will answer you. How do the Sharing Circles work? The sharing circles are designed to help you connect with fellow meditators, keep your practice on track, and provide a forum for you share victories and receive support if you are facing obstacles. Each sharing circle will begin with a brief centering, and then the “floor” will be open for sharing. Each session will also close with an integration, so you can create an action step for the next month. There is no judgment, only loving support. What do I do if I need to miss one or more of the Sharing Circles? It is normal for people to miss a handful of sessions during a program of this length. If you can’t make a session, you can always share how your practice is going (or any hindrances you are facing) in the Private Facebook Group. Due to the confidential nature of these sessions, a recording will not be posted. In the United States, Thanksgiving is the first of the major winter holidays, and can be particularly difficult. You are invited to join Heather online at 10 AM EST for a guided meditation and virtual group hug. Do I have to read the Mindfulness & Grief book? No. Each Monthly Master Class will focus on the topics from the book, so you will get the content you need from the program itself. You may wish to read the book for additional information, such as the inspirational stories, and to help reinforce the meditation techniques. What if I enroll, and find out the course isn’t right for me? You are eligible for a full refund within 30 days if you don’t find the program satisfactory. What type of computer do I need to participate? Any computer, laptop, tablet, or phone that has a web browser and access to the internet will work. We recommend that you connect to a reliable wifi network so the video is stable and the audio is clear. Streaming without wifi may result in data charges. Schedule a 15 minute call with Heather.